Spending a few days in France, I have just watched this great movie at as a fast-paced, tragic, touching, emotional and occasionally hilarious look at the French police's Child Protective Unit (CPU) ! Masterpiece !! This movie is filmed as a documentary.Co-writer and director Maïwenn Le Besco has crafted a story focused on the CPU with a dedication to realism as it places the daily life of ten CPU agents under the microscope. Troubles at home, troubles with co-workers, troubles with the other French police departments, and all their joys, disappointments and successes are on display. With each new scene comes a new emotion.Polisse is so tightly edited you're barely given a moment to breathe as it moves from one story to the next and by the time it's over you'll be surprised two hours and half have already gone by !! The joy, pain and heartbreak of the job is strongly felt as a result of the crimes depicted on the screen, all of which were taken from real cases. A magnificent and realistic performance of an incredible cast ! Until the last scene, this movie will will stick with you long after you've left the theater no matter how dramatized you may believe it to be. 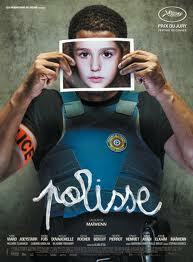 Best French movie of the year !!! Just won the Jury Prize at this year’s Cannes International Film Festival !